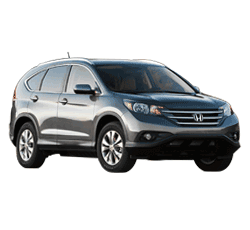 The 2014 Honda CR-V is by far the leader in the small SUV class, ranked #1 in Affordable Crossover SUVs and as the Best Compact SUV for the Money by U.S. News and World Report and one of Kelley Blue Book's 10 Best SUVs Under $25,000 for 2014. With ratings like that, it's easy to see why the CR-V was the country's best-selling crossover vehicle in 2012 and 2013. Read on for 10 more reasons to check out the 2014 Honda CR-V, as well as a few caveats for the discerning buyer. The CR-V is a great family vehicle for many reasons, but foremost among these is the safety rating. The SUV has a five-star crash test rating from the National Highway Traffic Safety Administration and is a top safety pick from the Insurance Institute for Highway Safety (IIHS). Whether you're headed on vacation or doing a month's worth of grocery shopping, the CR-V can fit everything your family needs. The backseat is designed to easily fold flat with just one hand, making for an impressive amount of cargo space. In addition to cargo space, three kids or two child safety seats will fit easily in the backseat. Honda is known for its impressive gas mileage, and despite its size the CR-V does not disappoint. You'll get 23 miles per gallon in the city and 31 mpg on the highway according to the Environmental Protection Agency. And the vehicle's optional EcoAssist system helps you drive more efficiently to maximize fuel economy. New for 2014, the CR-V has Pandora connectivity, meaning you can rock out to your favorite stations while on the road. The base model also includes Bluetooth connectivity for your smartphone, audio streaming, and a USB port. If that's not enough, the higher trim level includes satellite radio and a seven-speaker sound system. While the CR-V won't win any prizes for sports car-like handling, it does offer a smooth, pleasant, quiet ride. Drivers will enjoy the electric power steering with standard stability control, and if you choose the optional all wheel drive you'll be prepared for even the harshest weather conditions. While many crossover SUVs feel more like a car on the inside, the CR-V borrows from the company's Odyssey minivan playbook. This gives the driver and front seat passenger plenty of room to breathe, with a tall seating position, jutting gearshift, and large center console unit. All trim levels of the 2014 Honda CR-V come standard with a five-inch color touchscreen. Not only can you sync this display with your smartphone, you can also control many of the vehicle's functions straight from the screen. Options to add on include a Honda Satellite-Linked Navigation System, which includes a 6.5-inch touchscreen, or a rear DVD entertainment system with a 7-inch flip-down screen. If you choose one of the higher trim levels, your SUV will come standard with heated front seats and automatic climate control; leather seats and a moonroof are also luxury options that make this car a great value. There's a reason that U.S. News and World Report named the CR-V the best compact SUV for the money. Starting at $22,945, you'd be hard-pressed to find a comparable SUV at the same price point. Add that to the fuel economy and low incidence of repairs, and you'll find that this vehicle will make the most of your budget. 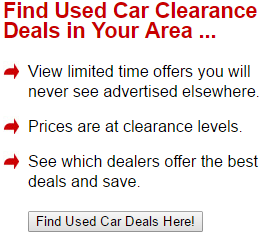 And if you ever want to sell, you'll find that the CR-V does an excellent job of holding its value over time. Honda has long been one of the most popular carmakers in the United States, largely because of its stalwart repair record. The CR-V is built to last, which is perfect if you're looking for a vehicle to fit the needs of your growing family. If you're a person who wants a car with plenty of customizable options, however, you may want to steer clear of the CR-V; the SUV has one engine train choice, three trim levels, and fewer add-on options than other vehicles in its class. In addition, the exterior of the car looks a little dated. While the 2014 Honda CR-V is a solid choice for anyone looking for a reliable family car at a great value, some buyers may want to choose something with more power and style.